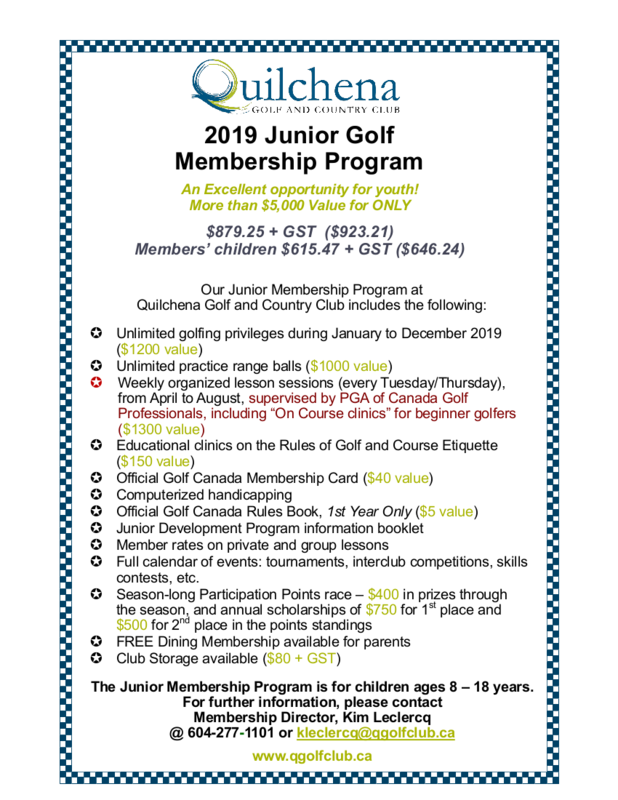 Quilchena Golf & Country Club offers a great program for the 8 to 18 year-old “budding” golfer. 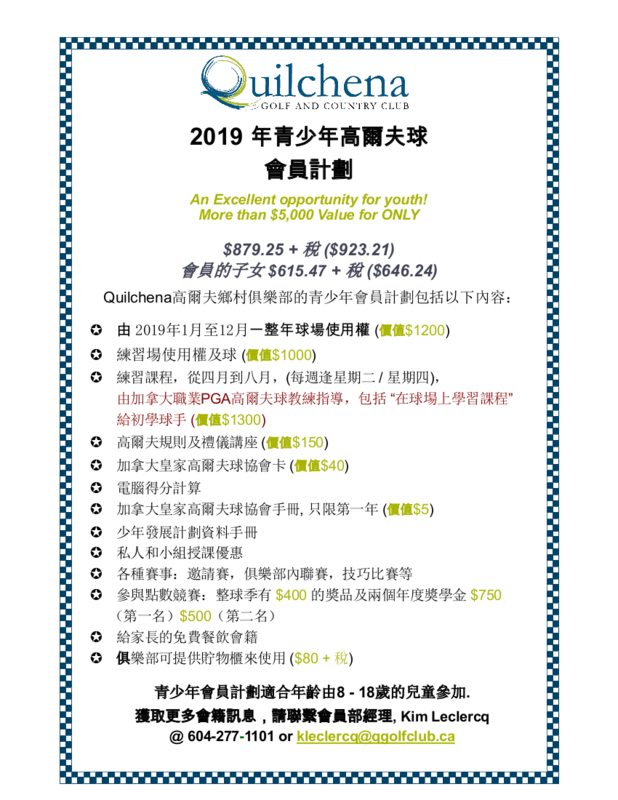 Our program includes: unlimited golf privileges, instructional clinics by a CPGA Certified Golf Professional and participation in several golf events, held both in-house and interclub. It's a great way to introduce your youngster to the game you love so much.